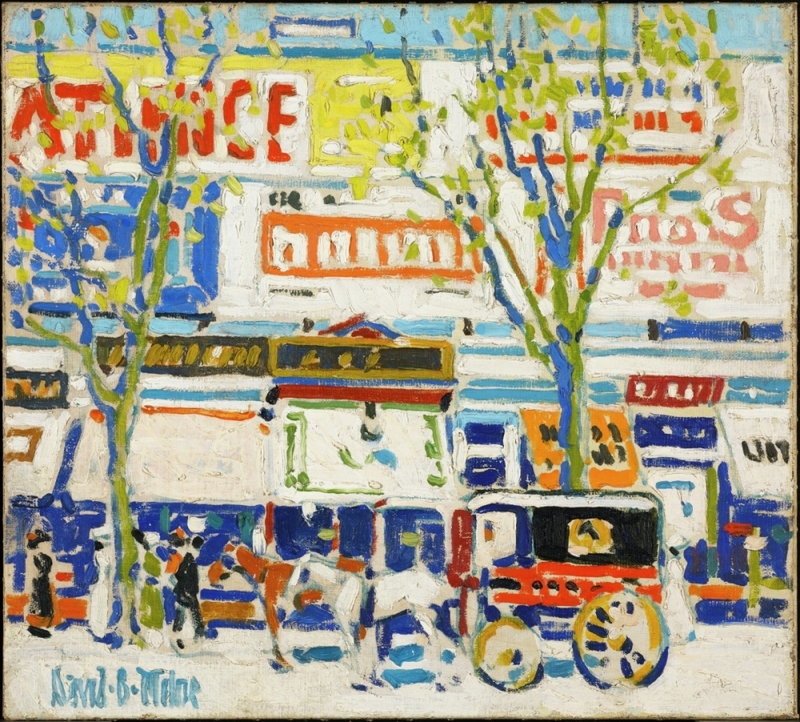 At the age of twenty-one, Milne left Canada to study art at the Art Student's League in New York from 1903-05. He supported himself by doing commercial design and painted in his spare time. In 1917, he joined the Canadian army and was sent to Europe. 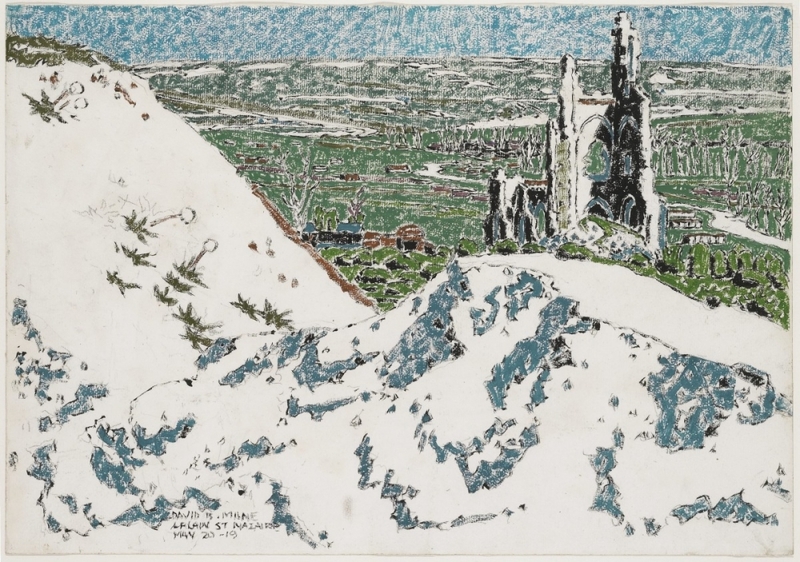 After the war, he painted camp scenes and deserted battlefields for the Canadian War Records. He returned to New York State for another ten years. In 1929, Milne returned permanently to Canada, first settling in Temagami, then Weston, then at Palgrave, Six Mile Lake, Toronto, Uxbridge, and finally at Baptiste Lake near Bancroft, Ontario. A change in place for Milne always resulted in a change of colour, form, and theme in his work. By 1934, with the patronage of Alice and Vincent Massey, Milne's work was seen by Alan Jarvis ( later he would become the Director of the National Gallery) and Douglas Duncan who became Milne's agent. 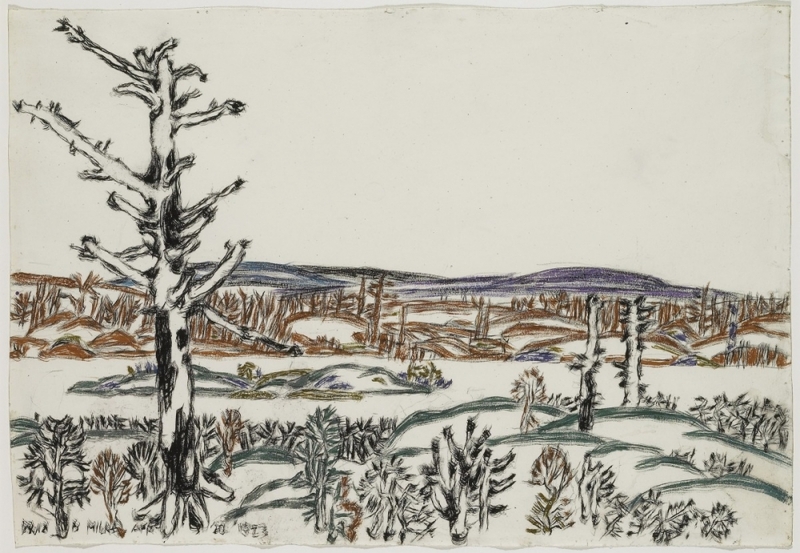 Through Duncan, the work of this recluse and individual painter became better known in Canada. Milne was strongly influenced by both American and French Impressionism, especially the work of Claude Monet and by Henri Matisse. Milne integrated these influences into his own special way of seeing and painting. He painted the simplest subjects - houses, barns, flowers, trees and still lifes - but it was the landscape that dominated much of his production. Milne was also an exceptionally gifted writer and used words as a part of the process to unfold his vision. His journals and painting notes reveal his observations and thoughts about his painting method, and artistic process. In the last 15 years of his life, Milne began to paint a series of fantasies. These may have been inspired by children's paintings and possibly by the birth of his only child in 1941.